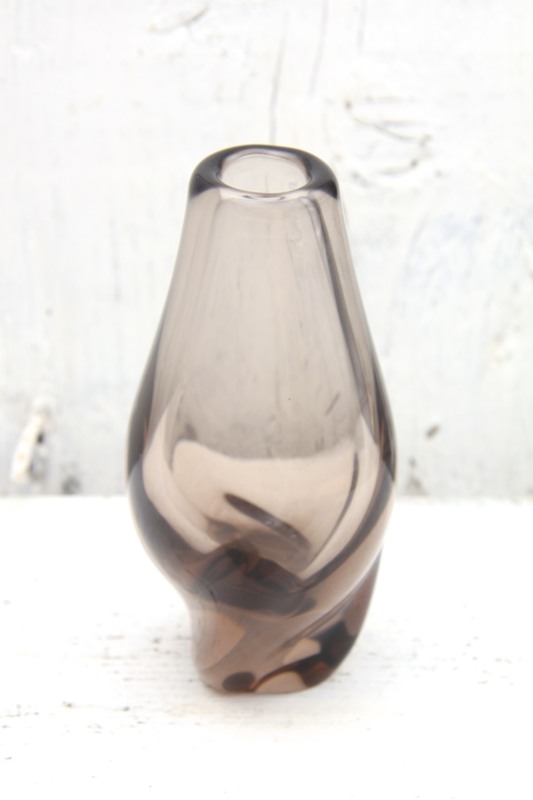 This is a lovely small freeform blown art glass vase, made by the Zelezny Brod Glassworks, Czechoslovakia circa 1960’s. A Fantastic sculptural freeform organic design by Miloslav Klinger, evoking the liquidity of molten glass in its form and swirled curving form, which appears different from each side. Displays the master craftsmanship of the glassblowers at Zelezny Brod glassworks, using traditional techniques such as those from Murano in new exciting innovative futuristic ways. Would be perfect as a small bud / single stem vase or as part of a grouping. Catches the light beautifully through the curves. Similar examples can be seen in Mark Hill’s book ‘Hi Sklo Lo Sklo’. 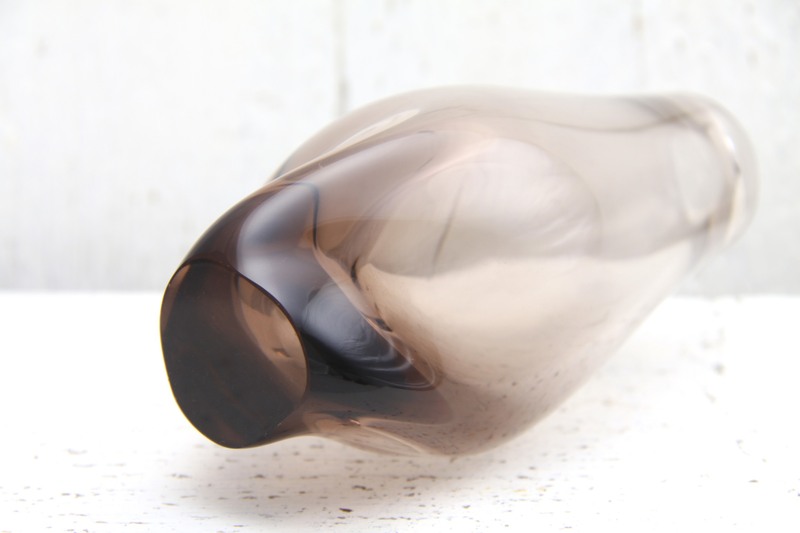 Perfect as an addition to any collection of Czech / Sklo / Bohemian Art Glass, and would complement any retro, vintage, 60’s, 70’s, modernist, mid century, space age, minimal or contemporary styled interior. Measures 13 x 6 x 6cm / 5 x 2.5 x 2.5in. ← Bagni Ceramiche salt and pepper shakers, Italy circa early 1960’s.